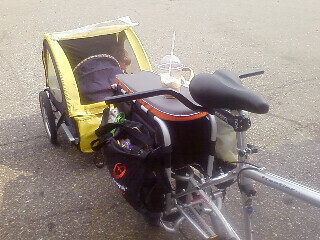 Hey there, I came across your blog for xtracycle info and photos. And it said you were looking for photos so I thought I'd submit one. 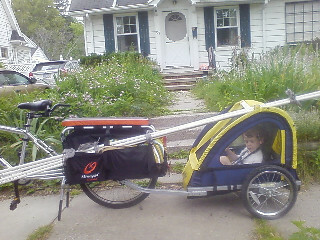 This is after my son and I took the xtracycle to costco and lowe's. (I've found that it is easier to get long home improvement stuff (like these pipes) on the xtracycle than it is to get them in my car.